My laboratory studies the genetics, proteomics and biochemistry of molecules involved in heart disease across a range of biological systems. A major class of molecules involved in heart disease are the plasma lipoproteins. We are currently studying the regulation of lipoprotein levels and composition to identify therapeutic targets for their manipulation with a particular interest in the Lp(a) and HDL lipoproteins which have opposing risk associations with heart disease. We are also investigating the variation in lipoprotein-associated genes in families with various dyslipidaemias. More recently we have begun a programme to test the effect of antioxidant compounds on biochemical markers of heart disease in both animal and human trials. Read about the Lipoprotein(a) work (with audio) on RNZ National’s “Our Changing World”. Funding for my research has been provided by the the Health Research Council of New Zealand, The National Heart Foundation, Lottery Health, Otago Medical Research Foundation and the University of Otago. McCormick, S. P. A., Liu, C. Y.-Y., Young, S. G., & Nielsen, L. B. (2003). Manipulating large insert clones for transgenesis. In M. H. Hofker & J. van Deursen (Eds. ), Methods in molecular biology: Transgenic mouse methods and protocols. (pp. 105-123). Totowa, NJ: Humana Press. McCormick, S. P. A., Allan, C. M., Taylor, J. M., & Young, S. G. (1997). The use of P1 bacteriophage clones to generate transgenic animals. In L. M. Houdebine (Ed. ), Transgenic Animals: Generation and Use. (pp. 273-281). Amsterdam: Harwood Academic Publishers. Rasheed, H., Hsu, A., Dalbeth, N., Stamp, L. K., McCormick, S., & Merriman, T. R. (2014). The relationship of apolipoprotein B and very low density lipoprotein triglyceride with hyperuricemia and gout. Arthritis Research & Therapy, 16(6), 495. Jones, G. T., Jiang, F., McCormick, S. P. A., & Dusting, G. J. (2005). Elastic lamina defects are an early feature of aortic lesions in the apolipoprotein E knockout mouse. Journal of Vascular Research, 42, 237-246. McCormick, S. P. A. (2004). Lipoprotein(a): Biology and clinical importance. Clinical Biochemist Reviews, 25, 69-80. Sharp, R. J., Perugini, M. A., Marcovina, S. M., & McCormick, S. P. A. (2004). 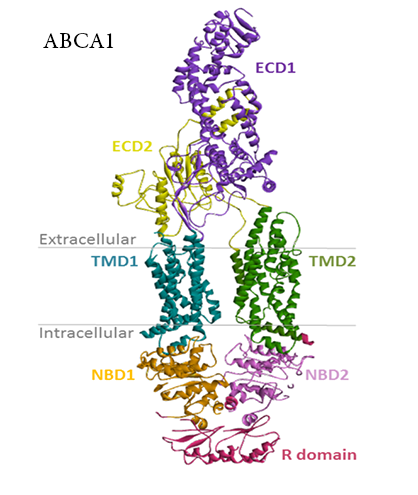 Structural features of apolipoprotein B synthetic peptides that inhibit lipoprotein(a) assembly. Journal of Lipid Research, 45, 2227-2234. Liu, C. Y.-Y., Broadhurst, R., Marcovina, S. M., & McCormick, S. P. A. (2004). Mutation of lysine residues in apolipoprotein B-100 causes defective lipoprotein[a] formation. Journal of Lipid Research, 45, 63-70. Sharp, R., Perugini, M. A., Marcovina, S. M., & McCormick, S. P. A. (2003). 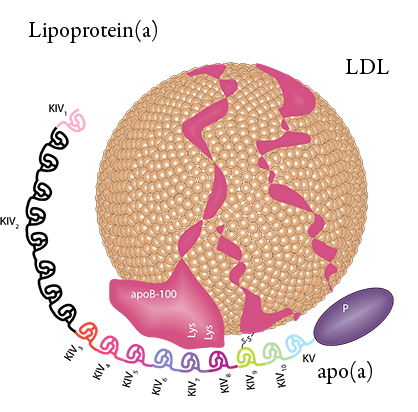 A synthetic peptide that inhibits lipoprotein(a) assembly. Arteriosclerosis, Thrombosis, & Vascular Biology, 23, 502-507. Nielsen, L. B., McCormick, S. P. A., & Young, S. G. (1999). A new approach for studying gene regulation by distant DNA elements in transgenic mice. Scandinavian Journal of Clinical & Laboratory Investigation, 59, 33-39. Veniant, M., Kim, E., McCormick, S. P. A., Boren, J., Nielsen, L. B., Raabe, M., & Young, S. G. (1999). Insights into apolipoprotein B biology from transgenic and gene-targeted mice. Journal of Nutrition, 129, 451S-455S. Zlot, C. H., Flynn, L. M., Veniant, M., Kim, E., Raabe, M., McCormick, S. P. A., … Young, S. G. (1999). Generation of monoclonal antibodies specific for mouse apolipoprotein B-100 in apolipoprotein B-48-only mice. Journal of Lipid Research, 40, 76-84. McCormick, S. P. A., & Nielsen, L. B. (1998). Expression of large genomic clones in transgenic mice: New insights into apolipoprotein B structure, function and regulation. Current Opinion in Lipidology, 9, 103-111. Young, S. G., Krul, E. S., McCormick, S., Farese, Jr, R. V., & Linton, M. F. (1996). Identification and characterization of truncated forms of apolipoprotein B in hypobetalipoproteinemia. Methods in Enzymology, 263, 120-145.